Introducing the fantastic Henley Wooden Stool Grey Velvet, a luxurious design like no other. A delightful mix of elegance and striking contemporary style, the Henley Wooden Stool delivers a completely different and attention-grabbing look to your home. 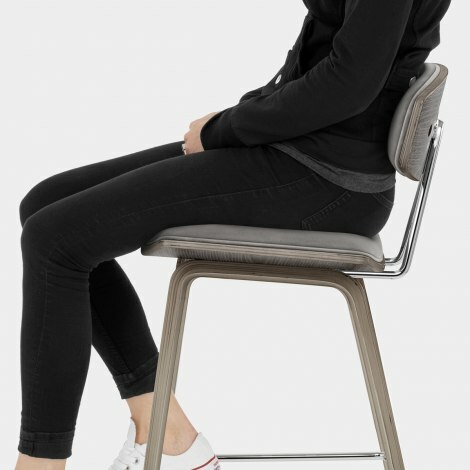 Well padded, the plush grey velvet seat and backrest pad bring comfort and style to the stool, whilst the supportive back is connected to the seat by a chrome frame. 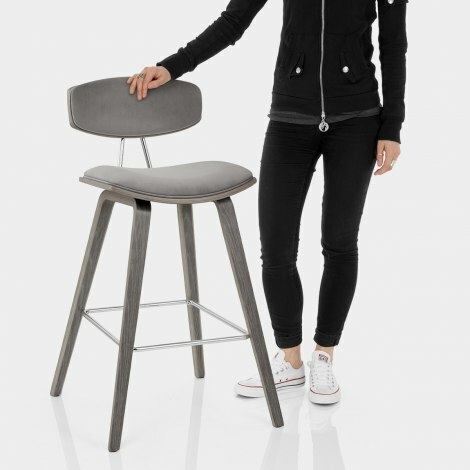 The arched bentwood seat and backrest have a light grey antiqued finish that matches the frame below and gives a modern touch to the natural wood grain. Descending to the floor with a graceful taper, the four solid wooden legs are strengthened by mirrored chrome braces that also double as a footrest. Protective floor plugs finish the design and add to the Henley’s impressive allure. 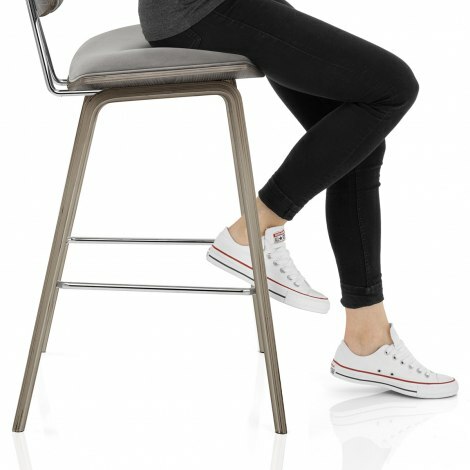 "Great quality for money and fast delivery"
Very stylish stools, easy to put together, good price. Great quality for money and fast delivery.